She’s relaxing with JAY-Z before their upcoming joint tour. Beyoncé will not attend the 2018 Met Gala, Entertainment Tonight reports. 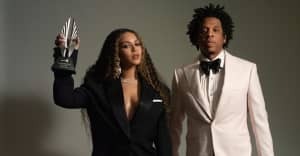 The singer, who was originally scheduled to walk the red carpet, will instead take a last-minute vacation with her husband JAY-Z. “JAY-Z surprised her with a trip because he felt she needed to relax before her tour," E.T. 's source said (the two artists will soon head out on their joint tour On The Run II). Beyoncé's vacation comes after she became the first black woman to headline Coachella back in April.